S P Setia Bhd, Malaysia’s leading property developer officially opened its registration for Rumah Selangorku units in Setia Eco Templer. Y.A.B Datuk Seri Mohamed Azmin Bin Ali, chief minister of Selangor officiated the launch here this morning. 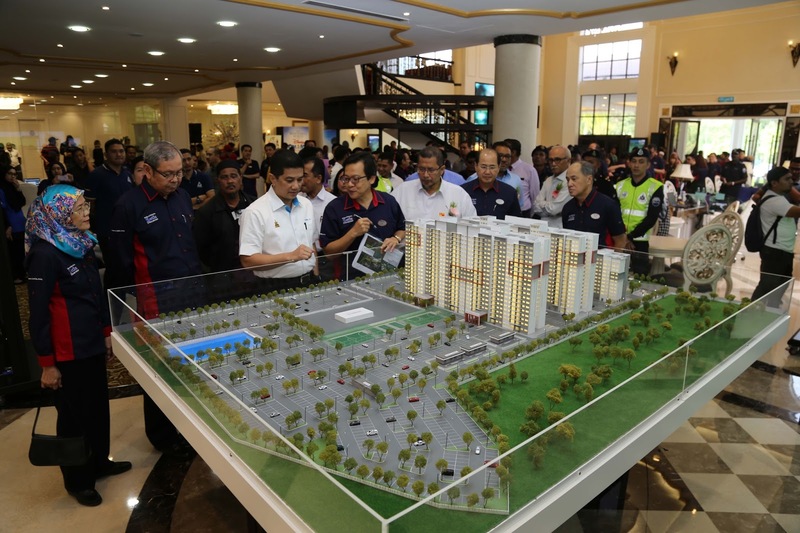 “Being Malaysia’s leading property developer, we are committed to nurture a balance community where families can enjoy living based on our development philosophy of LiveLearnWorkPlay,” said Tan Sri Datuk Seri Dr Wan Mohd Zahid Mohd Noordin, chairman of S P Setia Berhad. Eight applicants of the Rumah Selangorku initiative were also presented with their Letter of Offer by Y.A.B Datuk Seri Mohamed Azmin in this morning’s event. “My family is so happy that our application was approved. We always dream of owning a home in a Setia township and today, our dream has come true,” said En.Mohd Shafiq Bin Mohd Zolkfali, one of the eight recipients of the Rumah Selangorku Letter of Offer. 2.Have a gross monthly household income RM10,000 and below. Setia Eco Templer is Setia’s latest eco-themed development located on the former site of the Perangsang Templer Golf Club in Templer Park. This 194-acre gated and guarded township comprises a residential mix which carries unique architecture themes of English, Balinese and Peranakan, and commercial properties. It is a joint-venture development between Setia Eco Templer Sdn Bhd and Cash Band (M) Berhad. It has a Gross Development Value (GDV) of RM2bil.